Termite infested support columns outside the facility. Galena Park, TX. – May 23, 2017 — After months of my writing news articles for the North Channel Star, I felt it was time for me to have a first-hand look at the community center. I felt I owed it to both the citizens and the city to take a photo tour even though I knew I’d be entering an environment which could be a health hazard. The explanations given to the citizens by the city needed to be verified or found to be over exaggerated and without merit. I contacted Robert Collins the Galena Park City Attorney and asked if it was okay for me to take a photo tour of the center. After a few days Collins said I could contact the City Secretary Mayra Gonzales and she’d make the tour possible. Tuesday morning May 23rd I called Gonzales and she said I could go take the tour. I went to the closed community center and was met by Commissioner Barry Ponder and Gustavo Mendez a recreation department employee. We entered the facility and I immediately could smell a musty odor. 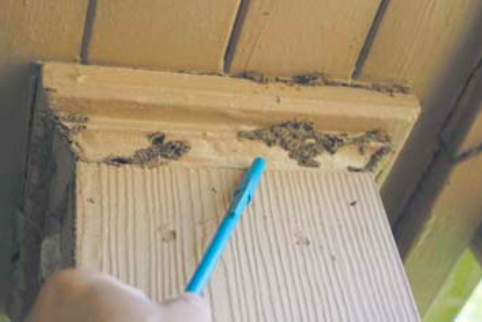 The appearance of the inside looked like a typical remodeling job that was stopped in progress before completion. I observed and photographed mold, termites, rotten supporting studs, dangerous electrical wiring in the breaker box, the broken emergency rear exit door to name a few things to make the place appear a very long ways from being used again. 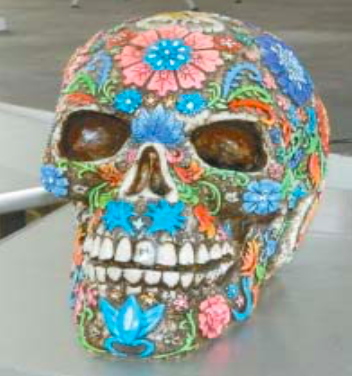 THE LIVE AUCTION had many unique items, including this “Dia de Muertos” (Day of the Dead) sugar skull donated by the Rotary Club of Torreon, Mexico. NORTH SHORE – The Rotary Club of North Shore held their 42nd Annual Catfish Fry and Crawfish Boil, and had thousands either turn out for the event, or come and pick up dinners. The Fish Fry is a fund raiser for the club, who use the money for community projects such as the fire departments, scholarships, Pct. 2 park improvements, school awards programs, food pantry, and much more benefitting the public. There are four major parts to the event: a limited draw raffle, to win a new Toyota truck or 19 other high value prizes; catfish and crawfish dinners; a live auction, and a silent auction. The chairman for the event is always the president-elect, which this year is Adam Lund of Capital Bank. Last year it was Kim Gonzalez, who is now president. All 75 members of the club assist with the execution of the all-day event in some function. Proceeds from the Fish Fry average $300,000 to $400,000 every year, most of which is available for community projects after expenses. For instance, this year the live auction raised $131,700 dollars, the dinner tickets tens of thousands, and the raffle tickets about $120,000. There is also support from corporate sponsors. Graduating seniors at C. E. King High School spent the better part of the day loading and unloading off of nine school buses that toured them around the other campuses throughout the district. The purpose of the Senior Parade was not only for seniors to possibly visit their elementary and/or middle schools one last time…but to also act as role models for Sheldon ISD youth. 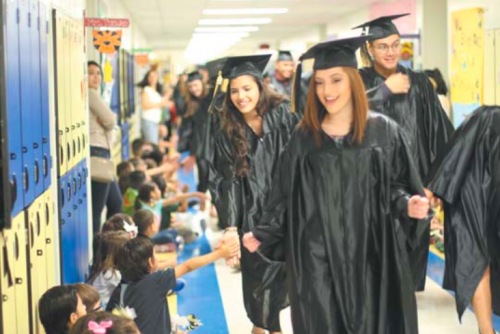 Throughout the week of April 24, Galena Park High School took 50 graduating seniors to visit five elementary schools for their First Annual Senior Walk. GPHS started this event to motivate kids to stay in school and achieve their goals. 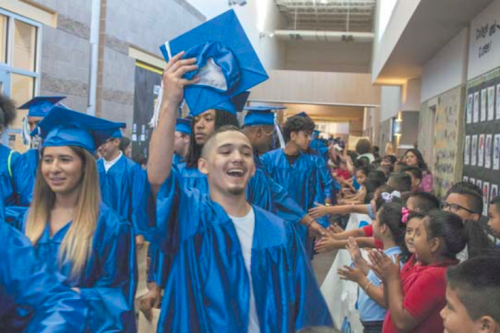 The students from Woodland Acres Elementary, MacArthur Elementary, Jacinto City Elementary, Pyburn Elementary and Galena Park Elementary gathered in the halls with signs to cheer on the graduates as they walked in their caps and gowns. GPISD is so proud of the graduating seniors and wish them the best of luck in their future!